Stahl, market leader in surface treatment and coating solutions for flexible materials, announced it is working with HP to increase the durability of printed synthetics. The two companies combine their expertise and product portfolio to help manufacturers to print unique durable designs in a more sustainable way. The collaboration between Stahl and HP underlines the importance of introducing innovations that transform the growing synthetic market while taking environmental responsibility. 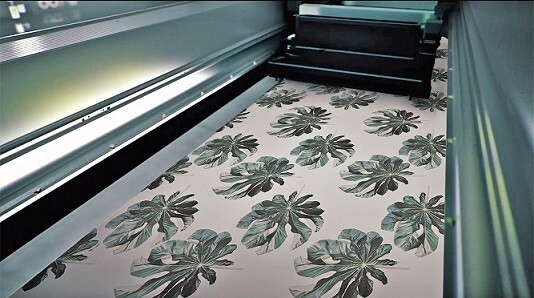 The water-based HP Latex Inks preserve the flexibility of the material, allowing the designer to print professional items of upholstery, bags, shoes or apparel. Adding the water-based Stahl EVO coatings enhance the durability of the printed items and together they offer a cost-effective and fully environmentally conscious production. Sustainable impact is at the heart of both companies. Stahl and HP are committed to developing and delivering an environmentally sustainable product portfolio, improving the sustainability of their own global operations, and partnering with suppliers to further reduce their environmental impact. Stahl and HP are present during the All China Leather Exhibition (ACLE) in Shanghai to illustrate their partnership. Are you interested to find out more about Stahl and HP’s collaboration? Make sure to visit Stahl at booth E2-B05 from 29-31 August in Shanghai.